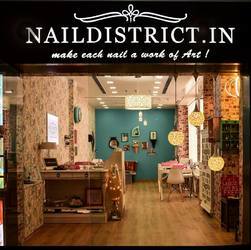 naildistrict.in offers one of the finest nail salon services in the Delhi NCR region and we have an overwhelmingly increasing and sound base of clients who are visiting Gurgaon but a visit to the finest nail salon in Gurgaon is a must ‘TO DO” on their list…!! For the best nail art experience you are only a phone call away, so call @ 9810556245 and book your appointment ! !